The Slim Hero is a low profile cooler that can accommodate CPUs with a maximum TDP of 136W. The SlimHero features four sintered power heatpipes with a very quiet slim 120mm fan. The copper heatpipes ensure maximum heat transfer from CPU to the aluminium fins. 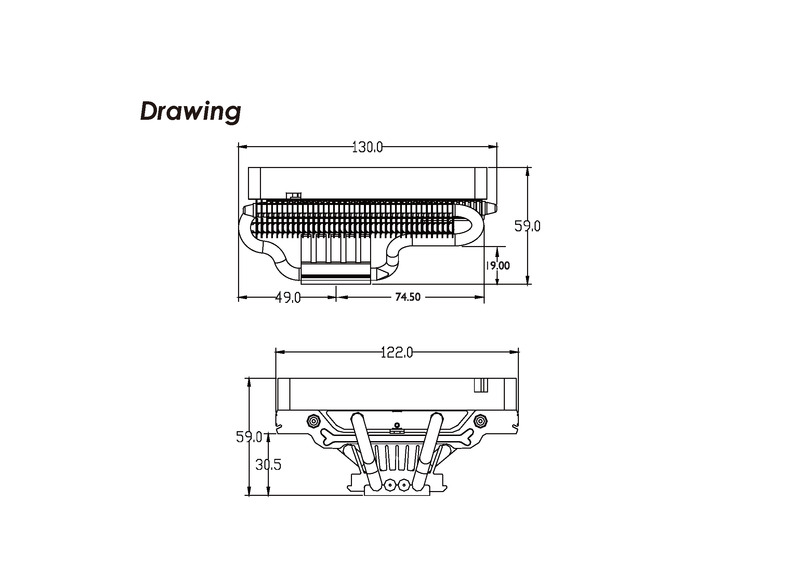 The heatsink is built in a unique shape to lower the air flow resistance. The cooler can be mounted in each direction on the AMD™ socket. The low profile cooler SlimHero is especially designed for compact PC cases where space is limited. With a total height of only 59mm, this cooler can fit almost all smaller cases and can cool up to 136W (TDP). 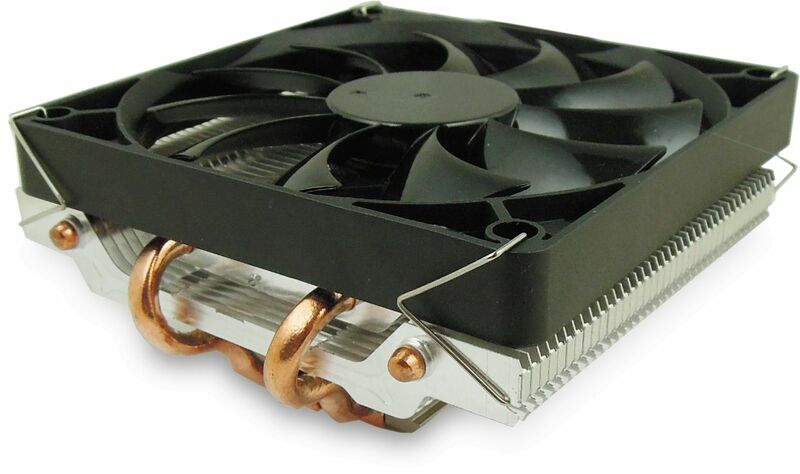 The heatsink is bundled with a very quiet slim 120mm fan which provides high airflow. The fan comes with an intelligent PWM controller which allows users to set the fan speed in their BIOS accordingly. Please check your motherboard with the restriction drawing of the cooler. Enough clearance for RAM & CPU power (4/8 pin), but remember to connect CPU power cable BEFORE fitting cooler!!! The mounting is not the flimsy plastic type, but does require access to back of mobo, no problem if new build or you have a cut out.